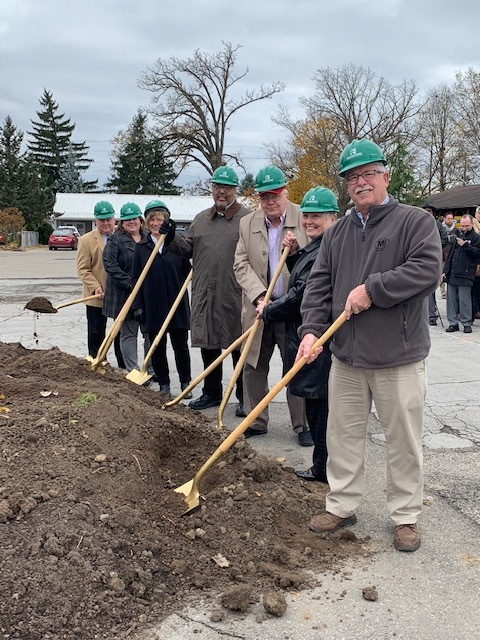 A Groundbreaking Ceremony, held today, marked the beginning of construction on the new American 1 Event Center at the Jackson County Fairgrounds. The construction project is the result of a Public-Private Partnership Agreement between American 1 Credit Union and Jackson County, Michigan. The agreement solidifies a four million dollar gift from American 1 to Jackson County for the construction of the six million dollar facility. American 1 first announced its intention to contribute to the project in November of 2016. “Over the past two years, we’ve watched the plans for the new Event Center become the cornerstone of a park that will be a lovely green space where the public will gather and play. The plan for reinventing the Fairgrounds is better than anything we could have imagined. A place downtown where people can enjoy walking and biking, and perhaps a river walk, along with indoor space for all kinds of events, is a resource we don’t currently have,” expressed Martha Fuerstenau, American 1 Credit Union’s President/CEO. The new American 1 Event Center will be an affordable space appropriate for large and small events. The facility, with its flexible configurations, will be ideal for weddings and family gatherings, corporate and community events, and mid-sized conventions. The American 1 Event Center will accommodate up to 850 guests for banquets and 1,500 attendees in theater-style seating. It will feature a full catering kitchen to enhance the food service experience. The excitement of this development and the greater plan for the fairgrounds property is just one of many significant projects taking place in Jackson. "This continues to be an exciting time for Jackson. 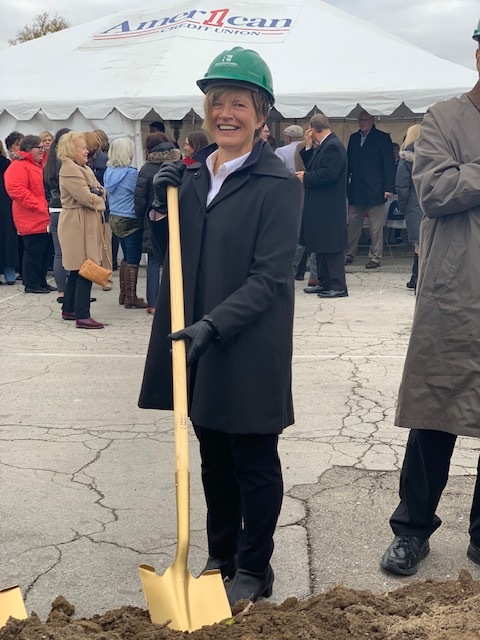 As a company that's committed to our community's success, we look forward to seeing the new American 1 Event Center bring people together and fuel even more growth in Jackson," said Patti Poppe, Consumers Energy's President and CEO. "When Jackson wins, we all win."